Kindness and connection - important values in the workplace? Love, kindness and connection are universal human needs. These, along with other values like trust, respect, safety and acceptance, help us to thrive, to feel fulfilled. But where do they fit in a workplace environment? Do leaders and managers do enough to foster and encourage kindness and meaningful connection at work? Being kind is an innate ability we all share and to be genuinely kind comes from the heart (not from the head) - it requires us to let our defences down, to show our tender side. It means taking a risk to be vulnerable in a world where performance, productivity and competition are more highly valued. Is there room for vulnerability in the workplace? Brene Brown, research professor and author, studies human connection. Her TED talk in 2010, The Power of vulnerability has been viewed by more than 22 million people, the highest number of TED talk views ever. Is this statistic telling us something we need to listen to? Holding up our armour, guarding ourselves against others, and showing how tough, competent and independent we are, can lead to a sense of alienation, isolation and loneliness. We are all familiar with the phrase ‘survival of the fittest’ but you are probably less familiar (or have never heard of) ‘survival of the kindest’ – a term originally coined by Dacher Keltner, PhD , and now used increasingly by other leading social scientists. To understand how this term came about, we need to look at the three emotional regulation systems or survival instincts that drive human behaviour. The first is the avoidance system driven by the brains’ negativity bias that helped the human species to survive. Today it is often best served by being cautious – by avoiding life’s ‘sticks’. The second is the achievement system. Our drive to seek out new opportunities and resources or life’s ‘carrots’. The third facet to our survival instinct that also governs how we approach the world is known as the soothing and contentment system. When we no longer feel the need to constantly defend ourselves against danger, and when resources are abundant, so that we are not just struggling to survive, we feel a pleasant and deep sense of contentment. It’s a sign that we are happy with the way things are and that we are in tune with our environment. When we feel safe, we are confident enough to look outwards beyond the immediate needs of survival and are able to live a more connected and harmonious way with those around us and that in turn allows us to be kinder to ourselves and to others. This bolsters the social bonds that encourage us to cooperate, rather than compete with each other. And such cooperation was critical for our ancestors because those who were kind and worked cooperatively with each other survived better than those who struggled in conflict and isolation. Hence the phrase ‘survival of the kindest’. It takes only one person to start changing their behaviour and the ripple effect kicks in. A change in thinking impacts behaviour and behaviour creates influence and inspiration to others to change their behaviour in turn. And as group thinking and behaviour change, the organisation changes, improves and grows. Help a colleague in need, notice someone under stress or under the weather aiming to meet a deadline, prepare for an event or perhaps struggling with staff absence? Wish someone well: Throughout the day wish someone at work well. It can be the same person or different colleagues. You bump into someone making coffee or on your way in, seize that moment, and for just a few seconds wish them well – wish them a good day or afternoon. Notice the effect and how you feel. Of course, it’s helpful and crucial that leaders walk the talk too but let’s not forget that “a small group of committed people can change the world, it is indeed the only thing that ever has”, (Margaret Mead). And the beauty of acts of kindness is that they benefit the giver and the receiver. Give it a go. You’ll not only boost your wellbeing but also gain a deeper sense of purpose in the workplace. Karen Liebenguth is an experienced life coach, MBTI facilitator, accredited mindfulness teacher and certified Focusing practitioner. 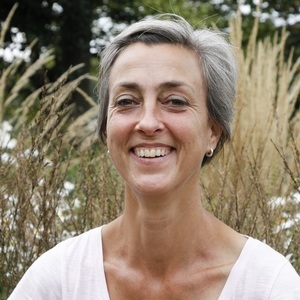 She offers coaching while walking in London’s parks and green space tapping into the benefits nature has on our psychological, emotional and physical well-being. She believes that it is in nature where reflection, insight and change can happen most naturally. Karen helps people deal better with stress and anxiety, find direction, feel more in charge of and confident about their life so that they can make long-lasting change and spend more time doing what most matters to them. Karen offers 1:1 mindfulness training as well as tailored mindfulness workshops and courses for the workplace to help staff better deal with stress and anxiety and to boost wellbeing. She uses Neuro-Linguistic Programming (NLP), Mindful Coaching, the Natural Learning Cycle, Compassionate Communication and Focusing. She is a member of the Association for Coaching, an accredited mindfulness teacher with BreathworksMindfulness.org and a qualified Myers Briggs Type Indicator (MBTI) facilitator. Love the thought of 'survival of the kindest'! Me too. Always worth remembering over 'survival of the fittest' - that's not the whole story! Glad you read my article.